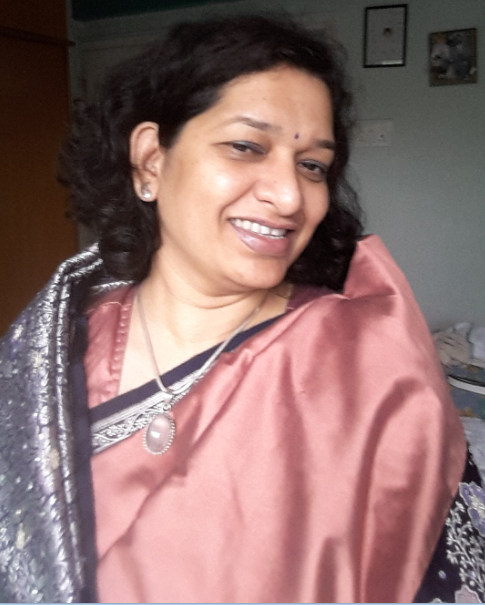 And then this morning as I draped my silk saree and realized the pleats wouldn’t stay and the length needed adjustment, I turned automatically to call out to my daughter for the usual help she gives me with all my drapes. Only to realise that she is 5000 miles away now, living her dreams of higher studies. And suddenly I missed her so much 🙁 She has always filled in this part without me realizing what a fundamental part of every saree drape she had become for me. Right from the time she was very little and I had to guide and instruct her little enthusiastic hands till the recent years when it was her asking me to be still while she adjusted the drape and admonished me over my clumsy palla. Hmmmm…. So here comes a misty eyed #65, for Shalvi. A pinkish buff unusual color with a deep blue border embellished with silver embroidery. Picked up on a whim while shopping for a cousin’s wedding trousseau as I liked the different combination. Realising suddenly that in a few years i will be in the same boat.